The NVQ Diploma in Wood Occupations (Construction) Level 2 will develop knowledge and skills in areas such as general health, safety and welfare; productive working practices; and moving, handling and storing resources. Learners can specialise in installing first and second fixing components; manufacturing routine architectural joinery; setting out and fabricating timber framework; installing frames and hinges and internal mouldings; erecting timber walls, roofs and floors; setting up and using cutting and shaping machines; or manufacturing routine architectural joinery products. This qualification may be available through employers, training providers and colleges and may be offered in England and Wales. Its primary purpose is to confirm the learner’s occupational competence in wood occupations. As a work-related, competence-based qualification it provides confirmation to employers, industry managers and card schemes that the learner has the skills and knowledge needed to meet the nationally recognised standard to carry out the role. 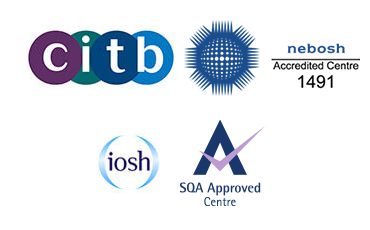 This qualification is supported by the Construction Skills Certification Scheme (CSCS). CSCS provides a registration card scheme acknowledged by industry for those involved in construction. The scheme recognises skills, knowledge and understanding, competence and qualifications. As this is a competence-based qualification, learners will be acquiring the knowledge and skills required through either on-the-job experience or in a learning environment. There are no specific skills, knowledge, understanding or any other qualifications that must be achieved in order to start this qualification, however learners must have the potential and opportunity to gain this qualification successfully. This qualification is mainly taken by individuals employed in wood occupations. Learners may progress from the Level 2 NVQ Diploma in Wood Occupations (Construction) to a range of qualifications at Level 3 and above, including Occupational Work Supervision.